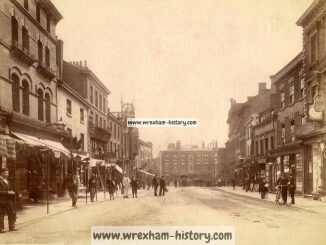 Wrexham with a population of over 70,000 inhabitants; within a radius of five miles of the post office, is at last to be provided with an up-to-date theatre. The site chosen for the building is in Regent street, the main street leading from the Great Western Railway Station to the town, and only three minutes’ walk from the Central Railway Station. Electric trams from the outlying districts pass the door every few minutes, so that every facility is given the outside population to be set down at the theatre doors. The building itself will be worked out in French Renaissance with red facing bricks and Carrara dressings, the base being in granite. The main entrance to the circle and stalls will be in the centre of the building opening up into a grand foyer decorated with marble panels in which are provided ladies and gentlemen’s retiring rooms and box office. A spacious staircase on the left leads to the crush rooms and lounge of the circle; and on the right a passage leading to the stalls. A passage is also provided under the stage to feed both sides of the stalls. The auditorium is divided into stalls, circle, pit and gallery with four private boxes, with a seating capacity of 1.640. The architect has been most careful in getting the various lines of sight so perfect that everyone in the house can see without any interruption. The exits have been well planned, three from the pit, circle and stalls, and two from the gallery. The stage is to have an opening of 30 feet, a height of 30 feet, a depth of 35 feet, and nearly 60 feet to the grille, and a width of 64 feet. It will be fitted in the most approved methods so that the largest productions can be staged without any inconvenience. The artistes have been given every consideration twelve dressing rooms entirely isolated from the main building, have been provided for their comfort, each fitted with hot and cold water. The whole theatre will be as near fireproof as possible, being constructed of steel with fireproof flooring with iron doors and fireproof curtain to cut off the stage from the auditorium. No expense will be spared on the furniture and internal decorations. The building will be well heated and ventilated, and a sliding roof will be provided to censure the comfort of the patrons in hot weather. 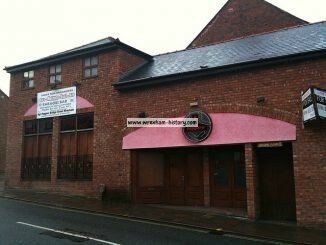 Connected with the theatre will be provided premises for the County Club, Wrexham. There will also be two shops. 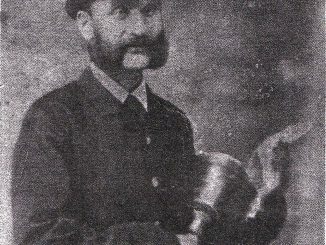 Mr. Thomas Price, 77, Lord street, Liverpool, and of Trefriw, is the architect who is pushing the work along at a great rate, and Mr. W. Yates Gregory managing director, is hoping to have all complete for opening early in the spring of 1909. 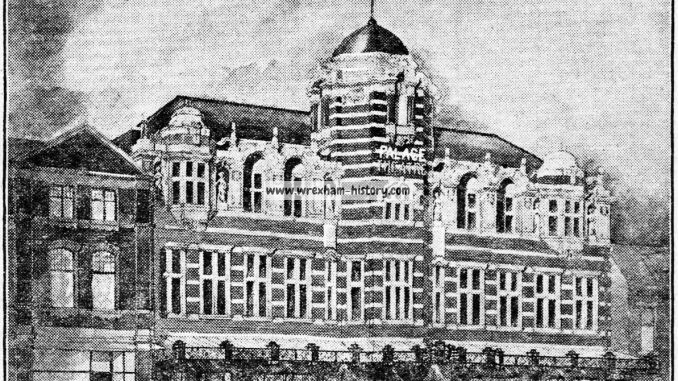 The Palace Theatre was never completed, instead the Majestic was built on the same site.